*If I am replacing my air conditioning unit, should I switch from R-22 to R410-A? 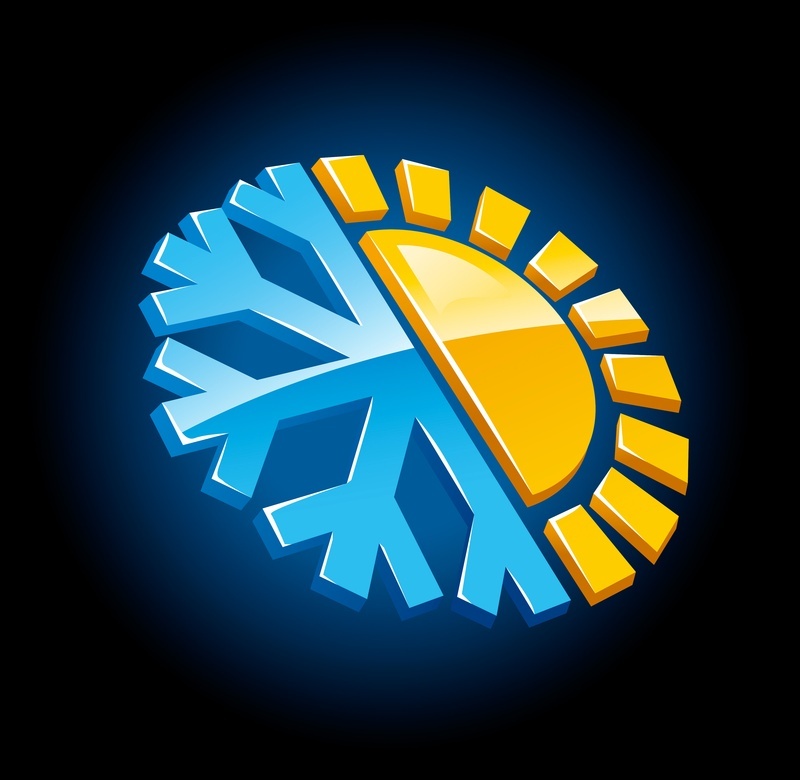 *Why is my air conditioner freezing up? *What is a variable-speed furnace? *What is a two-stage furnace? *When should I change my furnace filter? *Why does my air conditioner keep running? *What are the benefits to installing a humidifier in my home? *What can be done about detecting carbon monoxide in the home? *What is involved in humidifier installation and maintenance? If I am replacing my air conditioning unit, should I switch from R-22 to R410-A? This is an important question. The decision you make could, and most likely will, affect your wallet, comfort and possibly the environment. Below are some things you should know about R410-A. Most Air Conditioners and Heat Pumps sold around the world use a refrigerant called R-22. Emissions of R-22 are considered by some experts to be a significant factor in depleting the ozone layer that protects animals and people from harmful rays from the sun. Homeowners and business owners now have the choice to ask for an Air Conditioner or Heat Pump that uses a more efficient and environmentally friendlier refrigerant called R-410A when buying a new system for their home or office. By selecting R-410A you eliminate the possibility that refrigerant leaking from your system might contribute to the hole in the ozone layer, and you'll also be investing in a comfort system that will last you for many years to come. With R-22, you run the risk that it could become much more expensive or difficult to get when your system needs to be repaired in a few years. Keep in mind, R-22 will be phased out along with other ozone depleting chemicals, and both supply and demand of this chemical will be significantly affected by current and upcoming regulations. By selecting an air conditioner or heat pump that uses R-410A, you will avoid the risk associated with purchasing a product that is destined to become obsolete. R-410A air conditioners and heat pumps are today's "state of the art" systems, and utilize the most current technology available for efficient and reliable operation. The heart of every air conditioner or heat pump is the compressor, and newer systems are specifically designed to use R-410A refrigerant. They often incorporate smaller, heavier-duty "scroll-type" compressors that are quieter and operate with less damaging vibration than older compressors that operate on R-22. Since R-410A can absorb and release heat more efficiently than R-22 ever could, compressors with R-410A run cooler than R-22 systems, reducing the risk of burnout due to overheating. All air-conditioning systems use an oil that circulates through the inside of the system to keep all of the parts well lubricated, just like the engine of your car. R-22 air conditioners use an oil known as "mineral oil" that has been used for decades. R-410A air conditioners use newer synthetic lubricants that are usually more soluble with the R-410A than the old mineral oils are with the older R-22 refrigerants. This means the synthetic lubricants and R-410A can mix and circulate more efficiently to keep the compressor and other moving parts lubricated, reducing wear and extending their life. Also, just as many new cars use synthetic oils because they are less likely to break down under high stress and heat, the new synthetic oils used in R-410A air conditioners are less likely to break down under extreme conditions. There are several things that can cause your HVAC system to freeze up, most of them usually need to be corrected by a professional technician. Making sure the filter is clean or replaced and making sure the airflow is not restricted are about the only things you can check or handle yourself. Dirty evaporator coil: Over time, the evaporator coil will become dirty. When this happens, the results are similar to those of having a dirty filter. Gradually you will lose airflow, slowly enough that you probably would not realize it until it freezes up or is not cooling adequately. You will need to contact your local Service Experts sales and service center to correct the problem. Should you find that your system was freezing due to a dirty filter, after replacing or cleaning the filter, you can speed up the thawing process by turning the system off and turning on the fan. If you have a heat pump system, you can try turning the system to heating mode until the ice has melted. After the ice has melted, switch the system settings back to normal. If the system refreezes, contact us to correct the problem. The term "variable speed" refers to the furnace's indoor air blower motor. The blower motor is the component that determines the amount of air the blower is required to deliver to your home. When your furnace is installed, the speed and airflow for your home are set depending upon your specific situation, such as the size of your home, etc. However, there are situations that can occur within the household to restrict this airflow, such as ductwork design, unit location, zoning and dirty filters, to name just a few. Think of variable-speed technology as your insurance for home comfort the way you prefer it. Variable-speed technology ensures that your home receives the amount of air required to keep you and your family comfortable. Variable-speed motors have intelligent technology that monitor incoming data from the blower and adjust accordingly so you can feel confident that your system is working to keep you comfortable. Electrical efficiency: Variable-speed motors can actually save you money on your energy bills as they consume less electricity than standard motors. Cooling efficiency: Variable-speed technology also means you will gain air conditioning efficiency or SEER. Zoning: Variable-speed furnaces are excellent for zoning, where you control the conditioning of your home. Zoning allows you to customize your comfort in different areas or zones in your home and control your energy bills. Air quality: A variable-speed motor combined with a humidistat allows you to control the humidity in your home. Humidity plays a big role not only in the comfort of your home, but also in its air quality. The relative humidity in your home should be between 30 and 60 percent. This range is most ideal to minimize growth of biological pollutants such as mold and mildew. The consistent airflow of the variable-speed motor also helps to improve air filtration. Thanks to the innovation of two-stage heating, it is possible for your home to be cozier than ever while saving you money on your energy bill in the process. Two-stage heating can be a tremendous help when looking for that just-right temperature during the cold winter months. Traditional single-stage furnaces are designed to heat your home and keep you warm during the coldest weather in your climate. Therefore, when they are operating, they are heating at their full capacity. Unlike those furnaces, two-stage furnaces are designed to operate like two separate furnaces, maintaining more consistent comfort levels throughout the home. The first stage consists of the furnace running at about 68% of its heating capacity. A two-stage furnace will always start in the first stage and attempt to meet the heating demand. This reduced capacity is enough to warm a home on mild winter days. When temperatures drop, the furnace adjusts itself and enters the second stage to meet the demand for heat within the home. With two-stage heating, a homeowner has no need to keep adjusting the thermostat. Consistent comfort: Thanks to two-stage technology, the temperature inside your home should vary only a couple of degrees versus the larger temperature swings that are common with traditional furnaces. Quiet comfort: Because a two-stage furnace starts in its first stage, when the amount of heat required is lower, and runs in this stage about 80 percent of the time, it greatly reduces the noise associated with furnaces that turn on and run full blast. Two-stage technology means quiet comfort. Improved air filtration: A two-stage furnace provides more consistent airflow and with more consistent airflow comes improved air filtration, which means you'll breathe easier with two-stage heating. Efficient operation: Because the furnace spends the majority of its time operating in its lower-capacity first stage, it burns less fuel than a traditional furnace that always runs at full capacity and then shuts off when the heating demand has been met. Although you can't see the air and temperature within your home, you can certainly feel them. A two-stage furnace can provide preferred comfort within your home despite the changes in weather outside your home. Your local Service Experts sales and service center can show you additional benefits of owning a two-stage system. Many factors can cause air filters to become dirty at various intervals, so it depends on your location. For instance, homes near factories or airports may accumulate dust or debris more often. Furnace filters should generally be changed when there is visible dirt accumulated on the filter. Usually, a regular filter should be changed at least every season, but in many cases that is not enough. Check with your HVAC company on the appropriate time to regularly change filters in your area. Airflow is restricted by dirty filters and this can cause increasing loss of heating and air conditioning efficiency, and may even damage the HVAC equipment. What are the benefits of installing a humidifier in my house? With central heating, people are confined indoors with unnaturally dry air for many months each year. Humidifiers help to keep comfortable levels of moisture in the air, and properly maintained levels of humidity are beneficial for your respiratory system. Whole-house humidifiers work like old-fashioned room humidifiers: They put moisture into the air, making harsh, dry air easier to breathe. And whole-house humidifiers use water mist instead of hot steam, which keeps the entire house at the desired humidity level  no more carrying a humidifier from room to room in the winter. The best method of detection is to use a carbon monoxide detector in your home. A carbon monoxide detector is a device very similar to a smoke alarm. It monitors the air for carbon monoxide and sounds an alarm if a specific level is detected. Ideally, you should have one detector adjacent to every living area in your home. Carbon monoxide detectors are most effective when used in combination with preventive maintenance. Call us now for more information on how to schedule regular maintenance for your furnace or about purchasing a carbon monoxide detector. Carbon monoxide (CO) is a colorless, odorless, tasteless gas that is produced by the incomplete combustion of fuels such as wood, natural gas, gasoline, diesel, kerosene, coal and charcoal. It is caused by lack of oxygen or a disruption in the burning process. Household appliances such as your furnace, water heater, stove, space heaters, charcoal grill and gas dryer can be sources of carbon monoxide, especially if they are not in proper working condition or have been installed improperly. Vehicle exhaust fumes from attached garages, as well as improperly operating fireplaces, also can become carbon monoxide hazards, particularly if your home is well-sealed for energy efficiency. Installing a humidifier is an easy job if you are replacing your furnace. But you can also have a humidifier fitted to your current system with minimal labor since it is installed in the ductwork. It is also important to properly maintain your humidifier to avoid potential bacterial growth. Periodic cleaning and draining of the reservoir is strongly recommended.